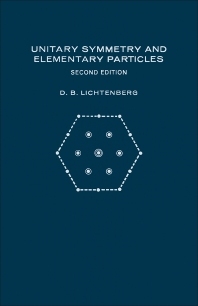 Unitary Symmetry and Elementary Particles, Second Edition presents the role of symmetry in the study of the physics of the elementary particles. This book discusses the nature and scope of unitary symmetry in physics. Comprised of 12 chapters, this edition starts with an overview of the theories of electromagnetism and gravitation to describe the behavior of certain physical systems. This text then examines the two main categories of the mathematical properties of groups, namely, the properties of abstract groups and the properties of representations of groups. Other chapters consider the use of group theory, which is a significant tool in studying symmetry. This book discusses as well the states that are the basis vectors of irreducible unitary representations of Lie group. The final chapter deals with the quark model, which provides a useful way to understand many properties of hadrons in terms of simpler entities. This book is a valuable resource for physicists. 12.14 Where Are the Quarks?